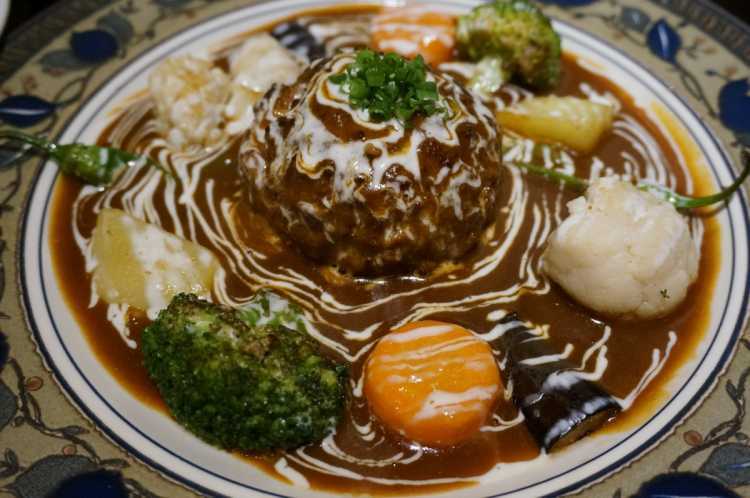 The Hamburg Steak with Stew Sauce, the Taste Brings Happiness! The restaurant specializes in a stew and curry and is really famous. I often visit here for lunch. They are proud of the tender hamburg steak with specially rich stew sauce.